For startups and small businesses, private limited company registration is advised. Usually, startups have more than one founder so it is difficult to be a One Person Company. A private limited company can have many directors and choosing the right directors is a very important task. They also aim at getting cash from angel investors and Venture Capitalists (VC’s) from the further issue of shares. Employee stock ownership plan (ESOP) in private company enables employees to hold a stake in the startup. The government has offered various exemptions including a tax holiday. This makes a private limited company form more suitable. Certain conditions are to be met by eligible startups to be entitled to a tax holiday which extends to 3 blocks out of the initial 5 years. To claim eligibility, the company must be registered between April 1, 2016- 31 March 2019, and its annual turnover must not exceed Rs 25 crore and it must have obtained a certificate of eligible business from the Inter-Ministerial Board. The flourishing startup ecosystem seems to have boosted the growth of private companies. 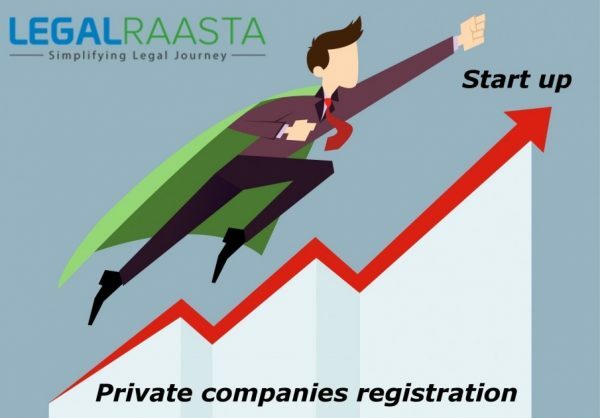 During the year 2015-16, as many as 60,414 private limited company with an aggregate authorized capital of Rs 10,845 crore were registered (statistics are up to December 31) – a hike of 36% over the previous corresponding period as per MCA report.